Betwinner360 Provides free Football Betting tips and Football Predictions Daily. Free betting tips can be accessed via Free Betting Tips (Jackpot Predictions) Android App. Tips are updated by 12 pm every day. Don’t bet all free Football Betting tips. Just choose some of the tips and stake an amount of your choice. Multibets with a few games have high chances of winning. Do you like free Football Betting Tips? Free Football Predictions win 70 to 100%. Increase your chances of winning with our paid betting tips and Premium betting tips. Do I pay for Free Betting Tips? No, we don’t charge, our Free Betting Predictions will always be free and reliable. Where do I get Betwinner360 Android Betting Tips (Jackpot Predictions) Android App? How much do I stake with free Football Predictions? Stick to your betting principles and stake an amount of your choice. We are not liable for any losses or profits gained from Betwinner 360 Predictions and Free Soccer Betting Tips. Can I get Paid Betting tips or Premium Betting tips? 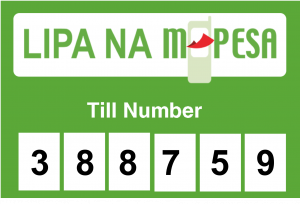 Yes, Betwinner provides Mpesa Betting tips, Sportpesa Premium betting tips and Paid betting tips. Do you provide Sportpesa Mega Jackpot Tips?